I’m so sorry our assignment desk was not able to get a reporter or photographer to your event today. The news priorities of the day (all the flooding problems) dictated we put our resources there. Nonetheless, I sincerely hope it was a grand success. The kids and their teachers deserved all the special treatment. You remain one of the most inspiring people in our community, with a heart of gold. You are truly making a difference in people’s lives in a very tangible way. I hope you are able to get some rest after all the planning and organizing for Day of Beauty. (You deserve to put your feet up for a minute). Continue the great giving work that you and your supporters do. And thank you for staying in touch. I’m looking forward to keeping up with your endeavors. I am really looking forward to your coverage on the special event coordinated by Gloria Owczarski for the "Day of Beauty" for special needs kids and their teachers. When Gloria emailed me about this event, even though I got on board late, I got on board! I think it is SUCH a FANTASTIC idea - and Gloria's heart is so HUGE - she just makes people want to join in because you know not only is it the right thing to do - it will be FUN! What a wonderful combination! Unfortunately, even though I had planned to participate that day, a family emergency prevented me from attending. However, I was able to raise a little bit of money for Gloria on pretty short notice - and she is already collaborating on how to get started for an even bigger event next year. I am certain as we get word out, more people will be finding this a great event to get involved in! I know I will be seriously more involved next year - and one of our initiatives for next year is to get her "Nonprofit" status so more people will donate $'s and goods! Our daughter, Karen, was asked to join the "Day of Beauty" for the second year. She was so looking forward to the event and was not disappointed! Karen also swims with Gloria's Fri. aft Special Olympics practice team. Gloria is a really "special" person herself. many other communities around the state & the country. the smiles the participants have afterward & for years to come. Happy New Year! Hope you had a wonderful holiday. Thanks for keeping me updated on your Day of Beauty year after year. You are a blessing to so many people. Just want you to know I appreciate all that you do for our community. You are a gift! We had the best time! Thank you so much for letting us host this event! It was truly magical for everyone involved! Gloria you are just the most wonderful woman I think I have ever met! We are so excited just to be involved! We are more than happy to help you get all of this done : ) Again, I am here thru Saturday this week so feel free to drop anything off here as you get it and we can get working on those goodie bags! Let me know what I can to do help : ) We are really excited about being a part of your event! We would like to thank you for allowing us to come to “Day of Beauty.” It was absolutely amazing to see everyone receiving services and being pampered. We had messages and enjoyed the atmosphere, entertainment, and of course the food. We had a great time staff and our participants. We danced and just enjoyed being around like minded people. Thanks again and we look forward to next year. Thank you so much for extending this opportunity to our young people and staff. Their confidence and self-esteem is through the roof. We would like to extend a personal thank you, can you provide us the name of your staff and volunteers? You are amazing! This was my first year volunteering and I was very impressed by how smoothly everything was run. I had a great time today and can't wait for next year's event. Thanks for organizing this event... I will be spreading the word!!! Take care! Just wanted to say thank you to you! What a wonderful event that you put together. It was so encouraging to see so many people coming together to do something special for teenagers with special needs. The volunteers were great. Everyone was so friendly and helpful. AJ was wonderful, thank you for that special treat for me. Emily was certainly content (if she was unhappy everyone would have known it). She enjoyed the music and ate 4 bags of chips (hey that is golden to her). Thank you for allowing us to come and be a part of A Day of Beauty. It was special to do this just with my daughter. Thank you again. I just wanted to say THANK YOU for such a wonderful day! My girls had an incredible time!!!!! They were so excited to be there and loved every minute of it! You did an amazing job setting everything up!!!! Everyone that was there to work on our special friends were fantastic and wonderful! I loved every minute of it! Thank you, for what you did for my girls (and everyone that came!)!!!!!! The kids are still talking about the fun they had at "The Day of Beauty." Everything was done in such excellence! could just see the joy in there face and you knew they felt beautiful. color), the food and the gifts. Today was the 7th annual Day of Beauty! (http://www.mydayofbeauty.net/) Words can't describe this spectacular day. Photos can't really either, at least not MY photos. They didn't turn out so hot but there were photographers there along with the local news so I'm hoping it'll be on TV. Again this year, I got to "man" the massage room. So much fun. We had @ 12 massage therapist volunteers and they stayed busy. The local news reporter interviewed one guy, James I think, while he was getting his massage. It's hysterical. The reporter was laughing so hard she could hardly ask questions. I hope that one makes airtime. There were so many kids & young adults with their teachers & aids. Special Olympics girls swim team, public schools, transition centers, supervised adult living facilities and probably some I missed. They got their hair colored (one guy got red & blue, another gold), haircuts, makeup, manicures, waxing and of course massage. Ruby the clown entertained along with Jessica (love her from Lululemon) and another Hawks dancer. Lest I not forget the DJ too. The place was rockin! The food was unreal - Twisted Taco had taco bar, burgers, hot dogs, ribs, cakes, mini cupcakes, cookies, bagels, chips, candy and fruit! Something for everyone!!!!! All donated and volunteers!!!! Some of my blogging friends came and I got to meet them F2F. That was so cool (and thanks)! So....how does this all come together?!!! There's only one girl I know that can make all this happen and that's the founder and organizer.........Gloria O. This is her labor of love and the Day of Beauty brings so much joy and happiness that you must be there to truly experience it. It does not fit into words. It was a SPECTACULAR day and I can't wait for next year!! how we can use our God-given gifts and talents to benefit others. You outdid yourself one more time. Today was SPECTACULAR. Everyone was raving about it – techs, volunteers, teachers and of course all the students. Thanks for letting me be a part of it. You can count on me next year too!!! Thank you for the S.O. watch. I really love it. This all has such a special place in my heart. Thanks and now go get a massage!!!! wonderful. I forwarded to my colleagues. Thanks. It was a wonderful day. Thanks for organizing it. You are a gem! It was a lot of fun and definitely a great cause. Please continue to share the photo links as you get them. Great Job as always!! Thanks for inviting enyiaanise beauty bar team…..we cant wait ‘till next year !! What a great event you put on. It looked like you do it every day. It is the epitome of organized chaos! Everyone knew what they were supposed to do and just did it. The kids had such a great time, too. So many smiles! Congratulations. Not only for such a well-run event but for giving us opportunities to be helpful. You did it! I don’t know how. I am convinced you must have some little elves working on all your preparations while no one is looking. However you do it, kudos to you. All I know is Rachel had a great time. Me too! Congratulations – it was a huge success and it seemed like they all had a great day! all ready responding. GO GIRL! Congratulations on this amazing event! Sounds like it was a wild success. Kudos to you and your big heart for making this happen. How was the massage therapist turnout? Hope they came out for you! Thank you for the sweet email and all the pics! I forwarded this to all the stylist at fresche that worked the event. They all spoke very highly of it and how much fun it was! We are going to strive for next year to have our entire salon there to support you at this event! I think it is such an inspirational and positive experience that the PM school hosts; you all should feel a lot of pride and happiness inside! Thank you for letting us participate ~ we will be back! Wow! As I finish reading this email, I am amazed at the kindness and righteousness u display! I am so upset I can't come on mon. I respect wat u do, and all the effort, time, and commitment u put into this event! Every single child and adult that benefits will be forever grateful for ur selfless giving. And don't worry G-d's got ur back tooo lol! One of the greatest gifts volunteers can give is not money, a lesson, or a bit of time, but a new feeling or confidence in the person they are helping. “Day of Beauty” does this by offering beauty treatments to young adults with special needs and their teachers at no cost to the students or their families. Growing up with a sister with Down Syndrome, “Day of Beauty” founder Gloria Owczarski has always had an interest in the success of special needs individuals. Already a swim couch for the Special Olympics, Gloria decided she could do more. Organizing stylists and service technicians in the Atlanta area, Gloria created a Day of Beauty to give kids with special needs and their teachers a day of massages, manicures, haircuts, styling, and other beauty treatments. The volunteers participating in a Day of Beauty each year notice that their service not only leaves the participants feeling good on the outside, but on the inside as well. Many of the participants have never been to a salon, let alone experienced the attention and care given by the volunteers of a Day of Beauty. Participants leave the experience ready to show off their new looks, and share their new confidence with the world. The volunteers with Day of Beauty believe in their power to change the world. They demonstrate compassion and grace with the students and teachers involved in Day of Beauty and empower the participants to leave with a renewed sense of confidence and positive outlook on the world. It doesn't matter what age or what walk of life, everybody loves to be pampered. Gloria Owczarski knows that, which is why she's made it her duty to organize and lead “A Day of Beauty” for young adults from Atlanta area high school special education classes and their teachers, many of whom have never been in a salon. A former salon manager, Gloria dedicates herself to giving one glorious day of makeovers every year to special needs youth and their teachers. 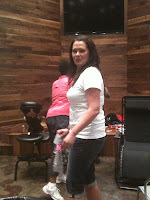 She works all year long recruiting stylists to donate their services and a local salon to donate the space. When Gloria started “A Day of Beauty” seven years ago, 20 from the Special Olympics swim team she coaches got makeovers. This year, “A Day of Beauty” will serve over 300 students and teachers at no cost to the participants. For Gloria, “A Day of Beauty” is about building confidence and helping the participants feel proud of themselves. Gloria shares, “This event is very close to my heart. My sister has Down's syndrome and she is my inspiration. I have been a Special Olympics swim coach for the past 10 years and I do this event for them.” Gloria knows being pampered makes the students and teachers involved feel like someone cares. For Gloria Owczarski, it's personal. Gloria Owczarski is a beautiful woman who develops confidence in the special needs young adults in her community and mobilizes industry professionals and community partners to pay it forward by making a day of memories and happy smiles for a very special group of kids. to minister to my kids. They had a wonderful time- so did I! year - if Bonnie chooses us again. my kids and others like them. with the care and respect that you and your staff provided today. working with with my kids. You have some wonderful people there! coming back to reality much more bearable. I really appreciate it. nicest thing anyone has ever done for my students and me. to tell you again what a wonderful day this way today. It was great fun! WOW! What an operation! The kids were thrilled and the volunteers were outstanding! Tx for allowing me to be a part of it! Thank you, Boni and Gloria, and all involved. My sister who died in October was with Just People and would have loved what you are doing. I was glad to hear they are participating. You are very brave to take on a challenge like this, and I admire you for doing it. "I looked at the pictures of the beautiful children. You are a true Angel amongst humans! " Yes I was there - and I had a wonderful time. Enjoyed the kids so much. They are truly special, special people. I'm writing you to thank you for arranging the Beauty Day at the Paul Mitchell Salon on Monday, May 3, 2010. P.S. His haircut was great!